Lose the hassle of international dialing and save an additional 20% off our already low international rates with PennyTalk Saveorites. Saveorites are Canadian phone numbers linked to your frequently called international numbers. Dial a Saveorites number to connect direct with your favourite friends and family abroad. Simply dial the new Saveorites number to call Tom directly. 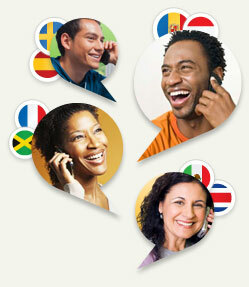 With Saveorites, there’s no more long international dialing and no access codes or PINs to remember. Plus, you’ll enjoy an additional 20% savings on every Saveorites call! Use PennyTalk Saveorites from any landline, mobile or smartphone within Canada. PennyTalk Mobile app customers can use Saveorites to save 20% more on international calls too – just add your new Saveorites number for Tom in your phone’s contacts, launch the app and tap to connect direct. You can set up Saveorites at sign up or add Saveorites in the PennyTalk online account center anytime - all you need are the international numbers you call most often. PennyTalk Saveorites make it easier and more affordable than ever to stay in touch with your favourites! Already a PennyTalk Customer? Set up Savorites in the Account Centre. Saveorites are New Jersey phone numbers and may use mobile airtime or incur domestic long distance charges. If you have questions about your calling plan, please consult your mobile or landline phone service provider. All rates are per minute from Canada. PennyTalk rates and fees are subject to change without notice. Service provided by IDT. ©2013 IDT Corporation. All rights reserved.